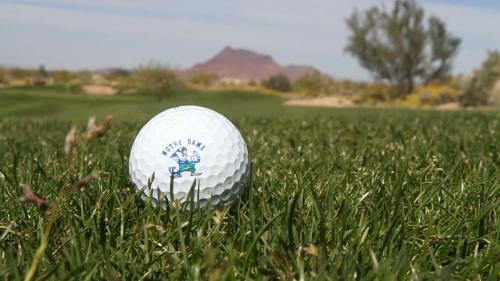 Searching for a classic Arizona golf experience? Look no further than Longbow Golf Club! Located in North Mesa, Longbow has everything you need to enjoy your time on the range. With the close-to-perfect weather that the fall and winter seasons bring to Arizona, this is not a stop that you&apos;ll want to miss! Acknowledged as one of the "Top 100 Resort Courses in the Country", and one of the "Top 20 Best Courses You Can Play in Arizona", by Golfweek Magazine, this Ken Kavanaugh-designed course boasts dramatic desert and mountain views. Off the green, you can take in the scenery while dining at The Grille at Longbow. With indoor and outdoor seating, golfers can enjoy the combination of quality and variety of The Grille&apos;s menu while waiting for a tee time or relaxing after 18 holes. Longbow has hosted multiple tournaments, as well as Men&apos;s and Women&apos;s Golf Leagues. For visitors who plan an extended stay in Mesa, their loyalty programs offer discounts and deals on golf rounds and apparel from their Pro Shop, reservation privileges, and more! Your time at Longbow Golf Club will be unique because they offer an excellent, classic golf experience without being clouded by excessive extras. Featuring natural Sonoran Desert landscapes, and offering instructional golf lessons for every level of experience at the Fisher Bryan Golf Academy, you can&apos;t go wrong when choosing Longbow. 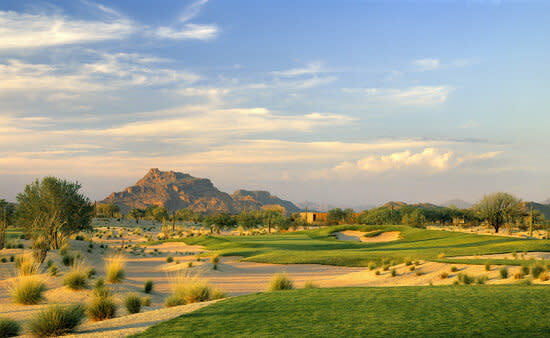 So, bring your A-game and your best swing to the fun, yet challenging course at Longbow Golf Club in Mesa, Arizona. Here&apos;s hoping for a hole-in-one!